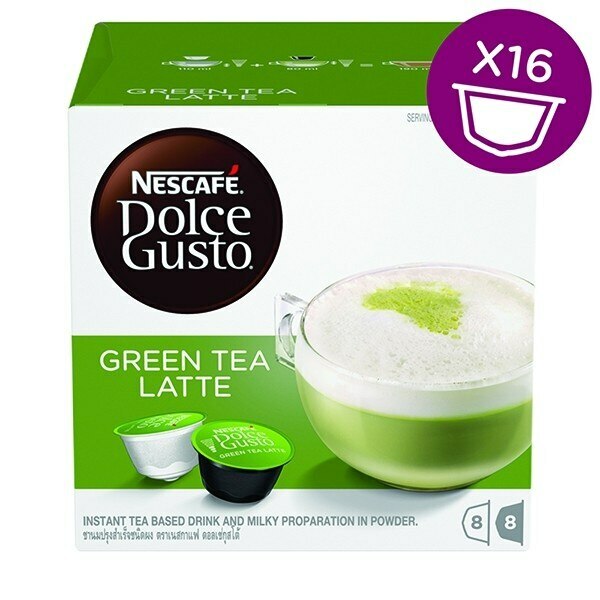 Discover the indulgent NESCAFÉ® Dolce Gusto® Green Tea Latte, finest quality Japanese green tea topped with a smooth frothy milk foam. 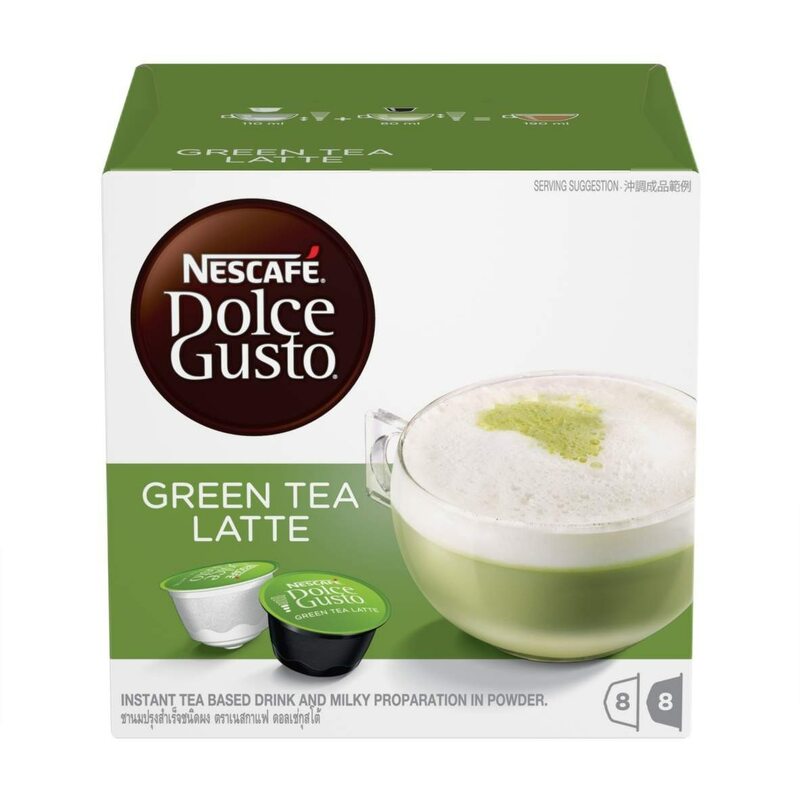 NESCAFÉ® Dolce Gusto® Green Tea Latte comes in two capsules: one capsule with premium japenese green tea and one capsule with smooth whole milk with a touch of sugar. 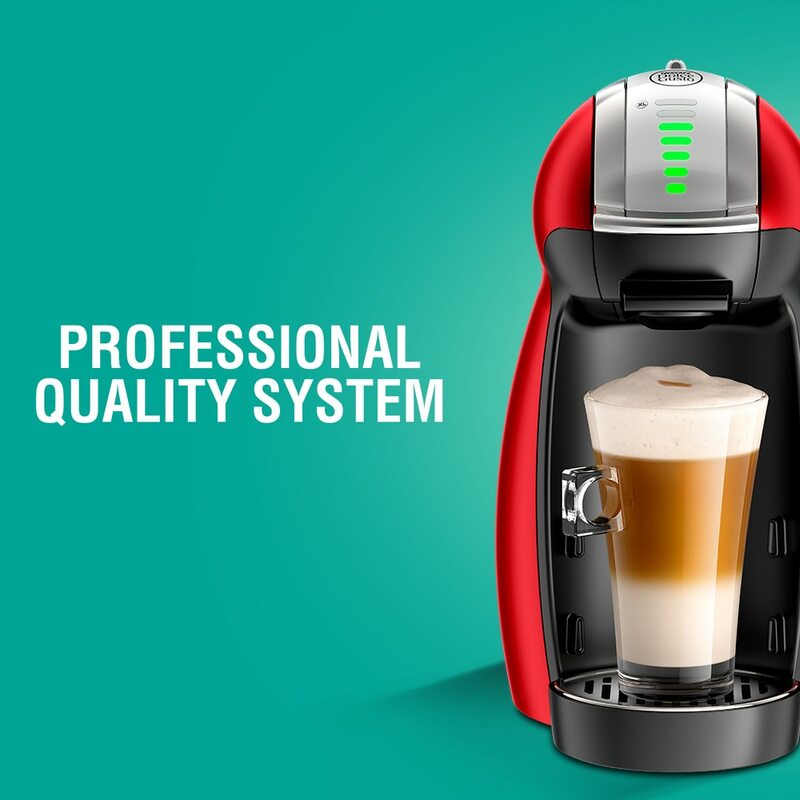 Our high pressure machines (up to 15 bars), prepare professional quality coffees, with a dense, velvety crema. 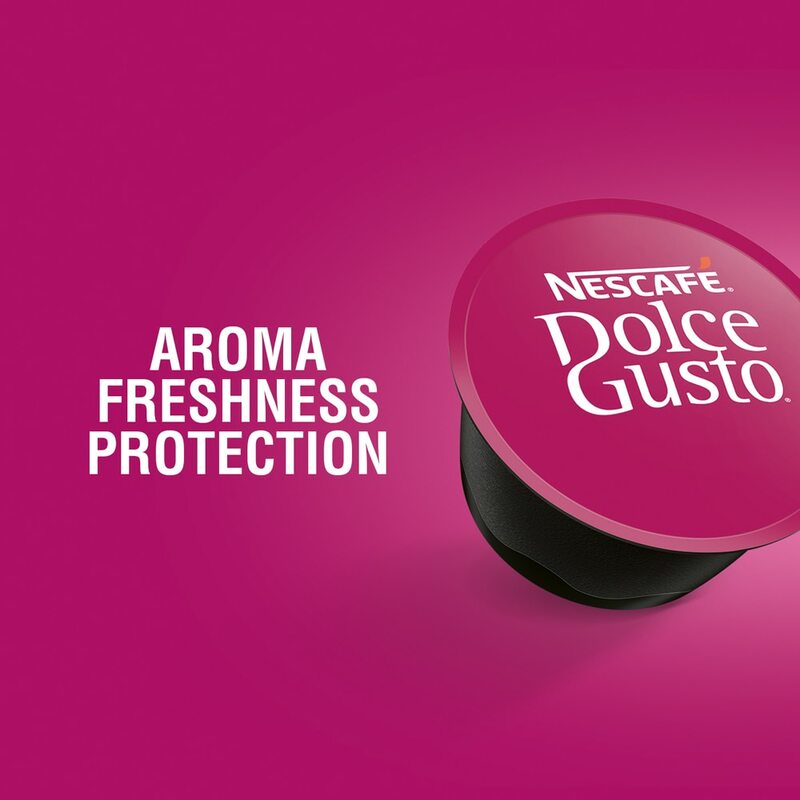 Coffee freshness is preserved in our hermetically sealed capsules, for a rich and aromatic cup every time. 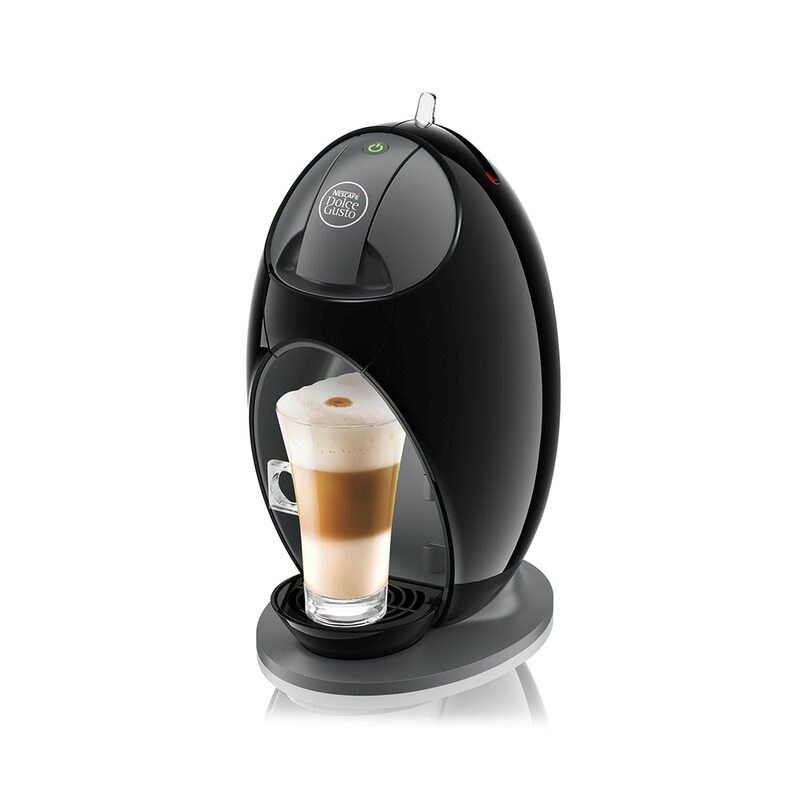 Simply slide the milk capsule first and then the tea capsule into your NESCAFÉ® Dolce Gusto® machine. 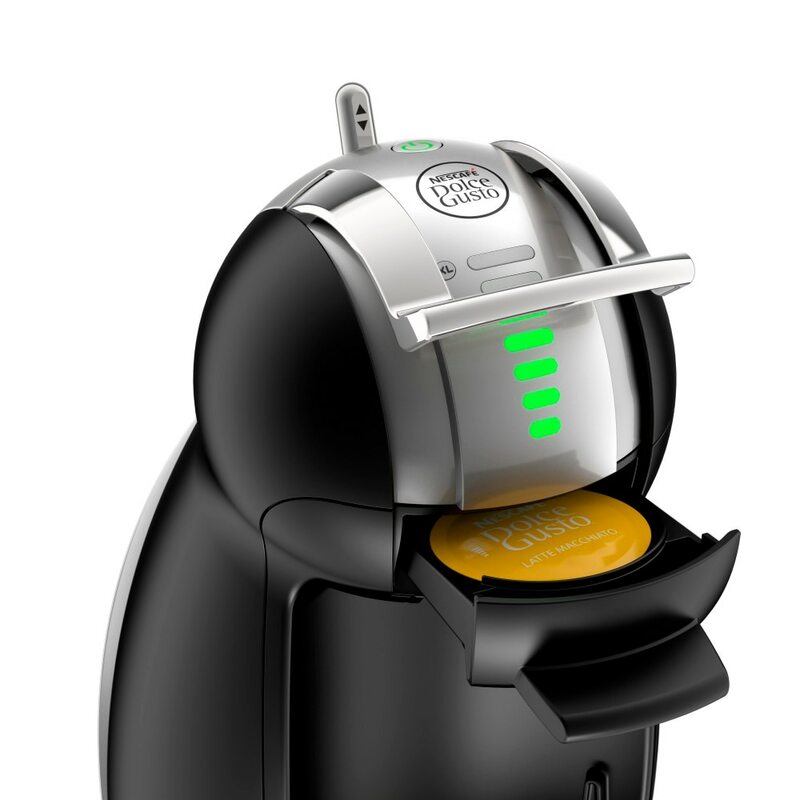 Your Green Tea Latte will be ready right away. 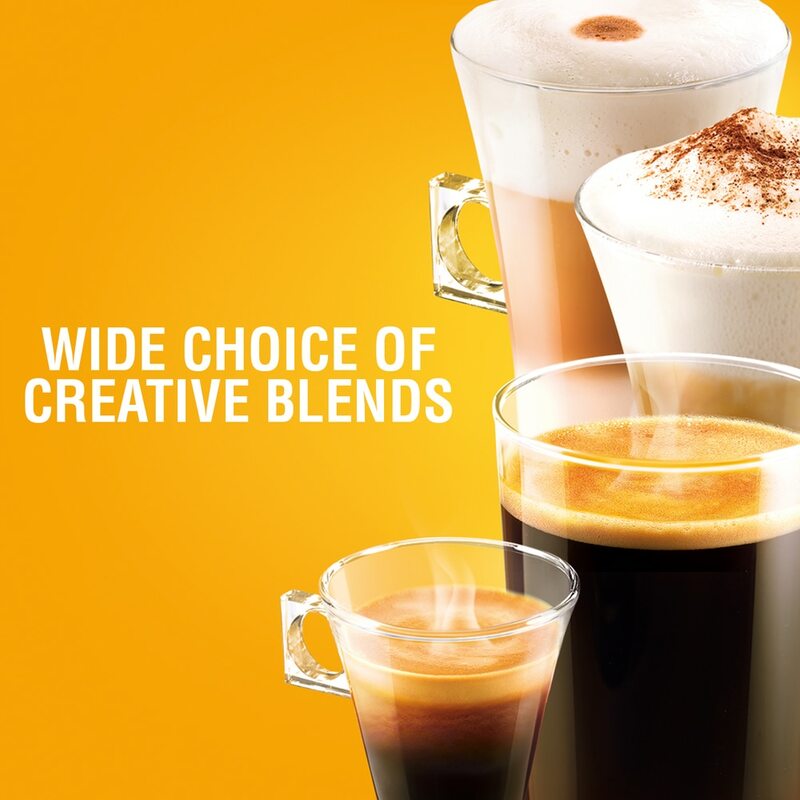 Take your pick from over 16 high quality coffee creations: choose from our range of intense espressos, smooth cappuccinos, aromatic Grandes, even hot chocolate, teas, and many more. 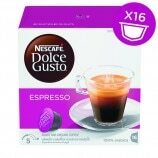 Each box contains 8 tea and 8 milk capsules designed for NESCAFÉ® Dolce Gusto® capsule machines and allows you to prepare 8 cups of Green Tea Latte. Sugar, Skimmed Milk Powder (Cow's Milk), Vegetable Oils (Coconut, Palm Kernel, Palm), Lactose, Green Tea Powder (Camellia Sinensis), Maltodextrin, Natural Flavouring, Glucose Syrup, Stabiliser (Disodium Phosphate), Salt, Yeast Extract. Contains Stabiliser As Permitted Food Conditioner. Contains Permitted Flavourings. All additives Are Of Plant Or Synthetic Origin. May contain traces of soya. Sugar, Skimmed milk powder (Cow's Milk), Lactose, Vegetable oil (Palm kernel, Palm, Coconut), Natural Flavouring, Maltodextrin, Salt, Yeast extract. Contains Permitted Flavouring. All additives are of plant or synthetic origin. May contain traces of soya. My colleague and I just use the green tea capsule and make the drink. Without using the milk. Milk capsule we use it for other concoction. Green tea by itself need stronger green tea flavor. Also already have milk plus sugar in it when you read the ingredients. A drink is either good or bad and this Green Tea latte is bad. 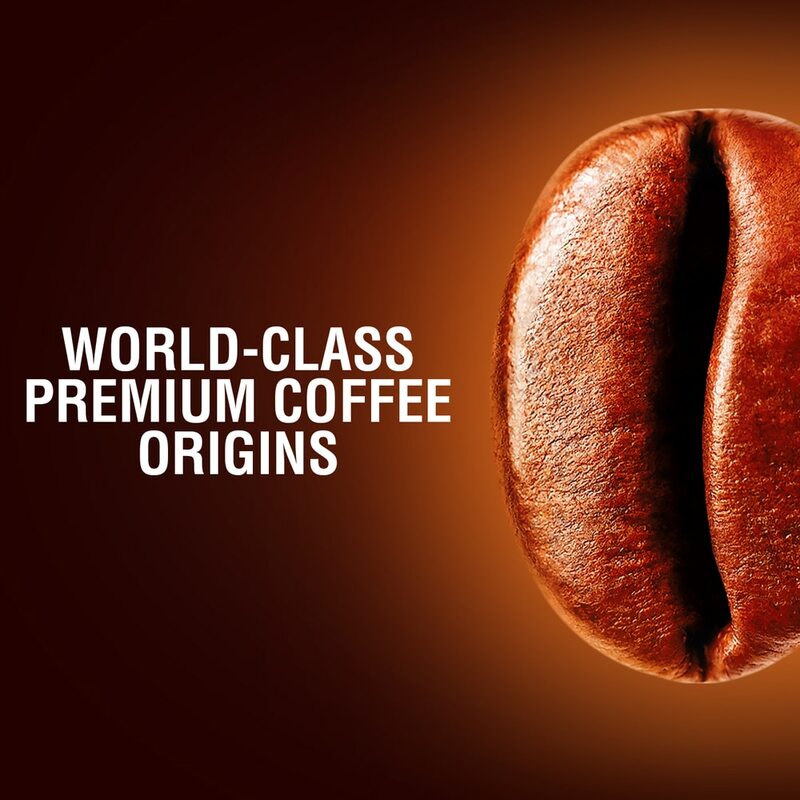 It has a really artificial sweet taste to it and the aroma does not smell good. Definitely one of the worst capsules I've tried. Purchase one box and was forced to finish them up by myself. All others family members do not like this favour. 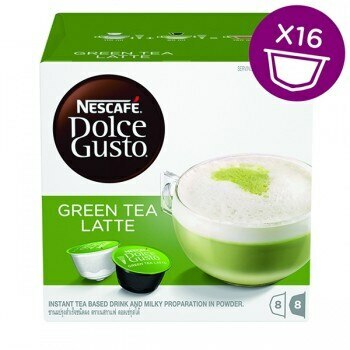 I used to drink 1 cup of latte in the morning and 1 cup of green tea in the afternoon … things change after I was introduced to Nescafe Green Tea Latte! I love the fact I still get my daily dose of antioxidants and the smooth creamy frothy all in one cup! 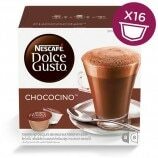 Thank you Nescafe! I don't normally enjoy green tea with milk, however this Nescafe green tea late capsule had changed my palate completely. I can't live without it now!! !